BYOD! How do you think BYOD is going to change how you do things at school and at home? 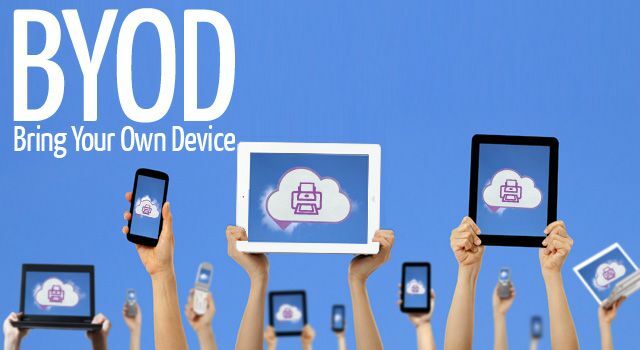 Do you think there is there anything bad about BYOD? In my opinion, BYOD will make my life much easier in many ways. At school, BYOD will help me when i am working on a project or trying to get new ideas or understand a text. It can also affect students in a great way. If you are working on a project and you are not allowed to use a computer, your group can take out their devices and research some ideas. There is a negative side to BYOD. Students can bring a phone and while working, they might be playing games or texting other students or friends. They can also cheat for answers on a text or be distracted when the teacher is trying to teach a lesson. Therefore, BYOD is not always a positive idea but there are many good affects from it.